Do you need help navigating the constant stream of resources which reaches you? 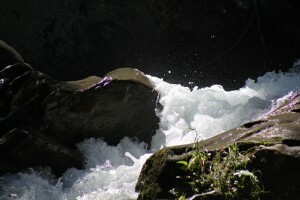 Follow the steps in this article to reclaim control on the flow of bright ideas. What do you do with the resources you find online? Do you bookmark them? Do you go a step further and use Diigo or Evernote to save all of them in one place? Do you ever share your resources? Surely if you found them useful someone else would too. 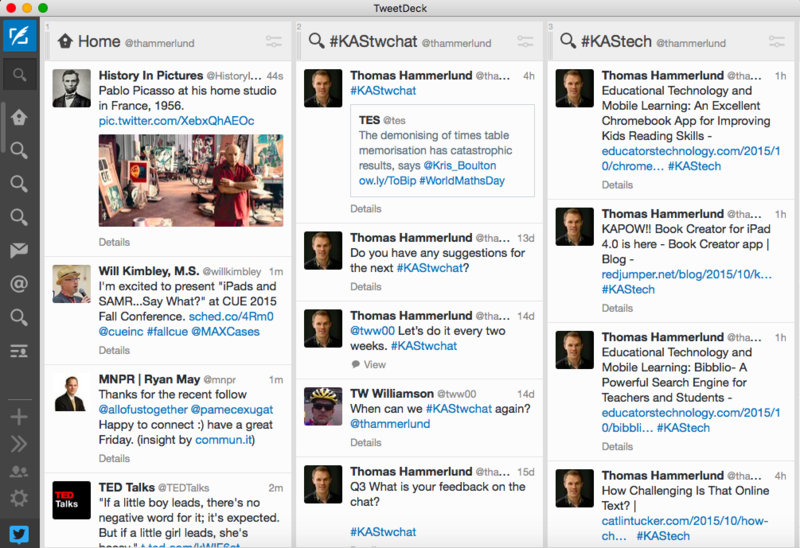 I have started curating teaching resources and tech tips I find online in the hashtag #KAStech on Twitter. There is no need to join Twitter to view the resources as the list is public. If you are on Twitter, feel free to share resources you find to the hashtag as well. An easy way to do this is by using the Tweet This Page Chrome extension. 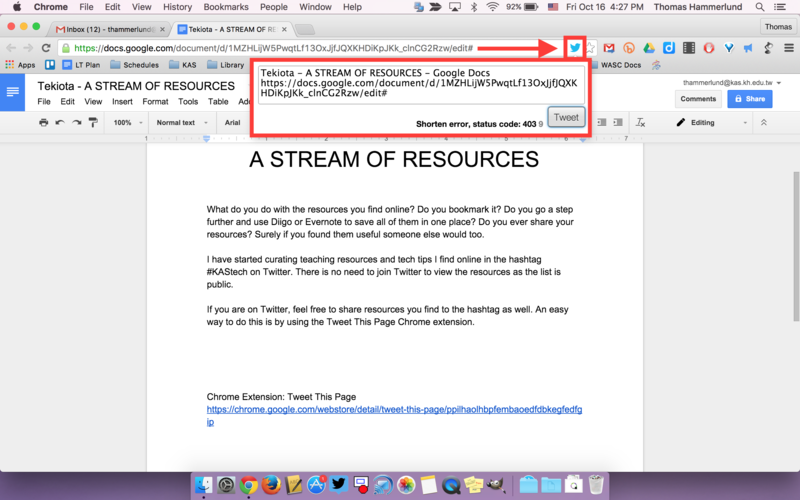 With this extension, you can Tweet out interesting resources with the click of a button. In my first article about Twitter, I introduced you to a few key points when signing up. TweetDeck is a powerful tool for Twitter and I recommend it to anyone who signs up. In TweetDeck, you have the ability to create, add, and move columns of content you curate. TweetDeck is a great way to keep track of different hashtags, or groups of people. The different columns eliminates the need to jump between screens when searching for content. I have a group for all the KAS teachers on Twitter as well as a separate one for our #KAStwChat. If you need help getting set up with TweetDeck, please let me know.